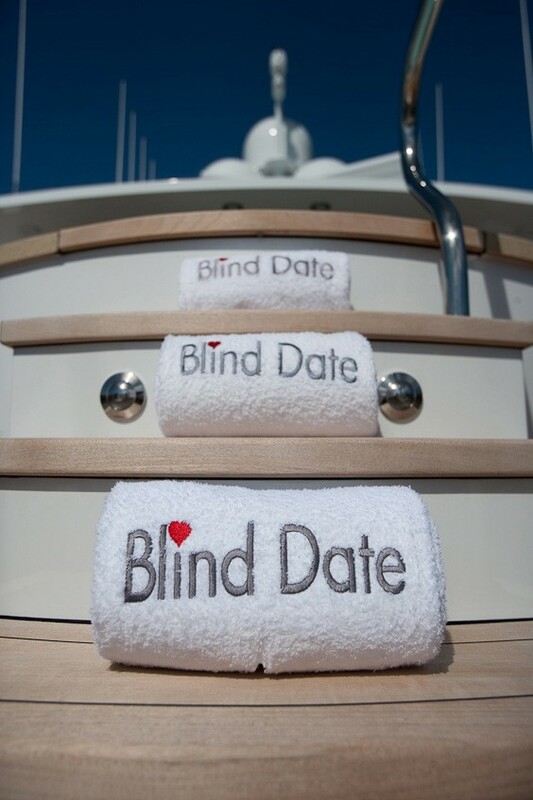 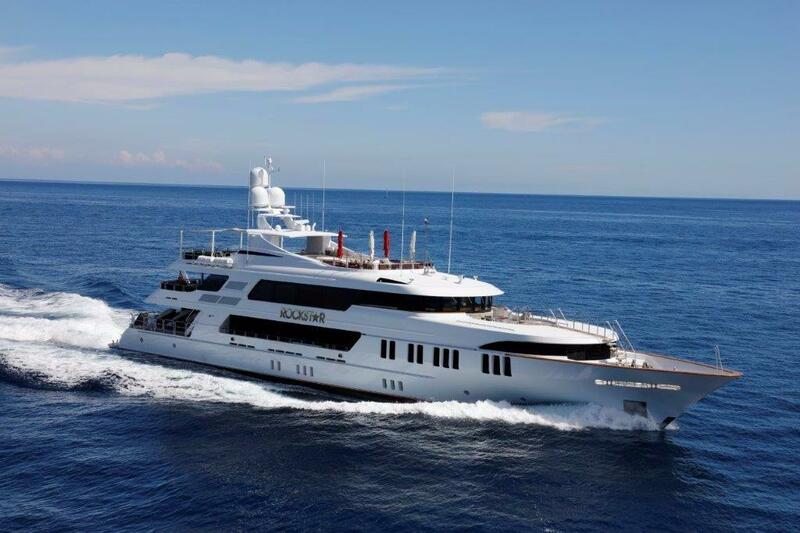 Motor yacht OCEAN CLUB (ex BLIND DATE, ROCKSTAR) is a 50 meter (164 foot) superyacht as built by Trinity and launched in 2009. 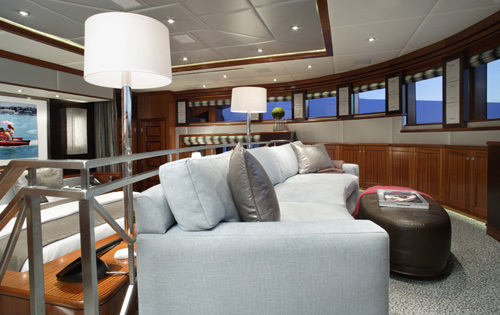 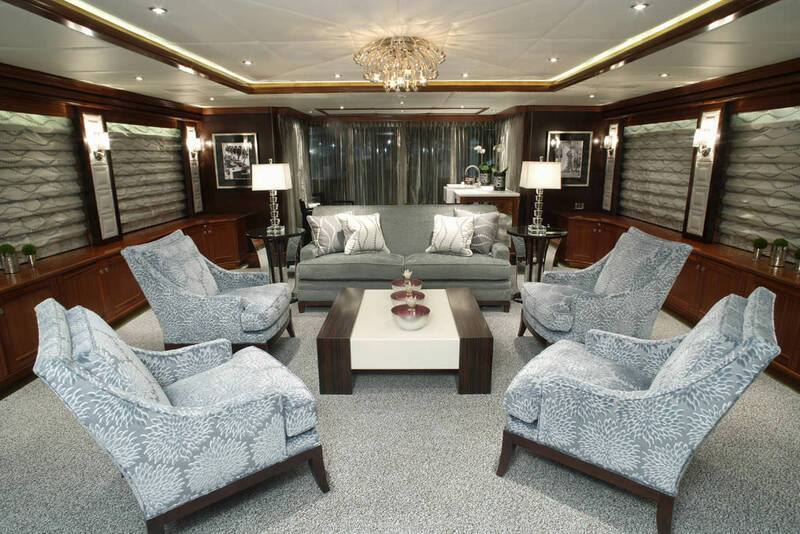 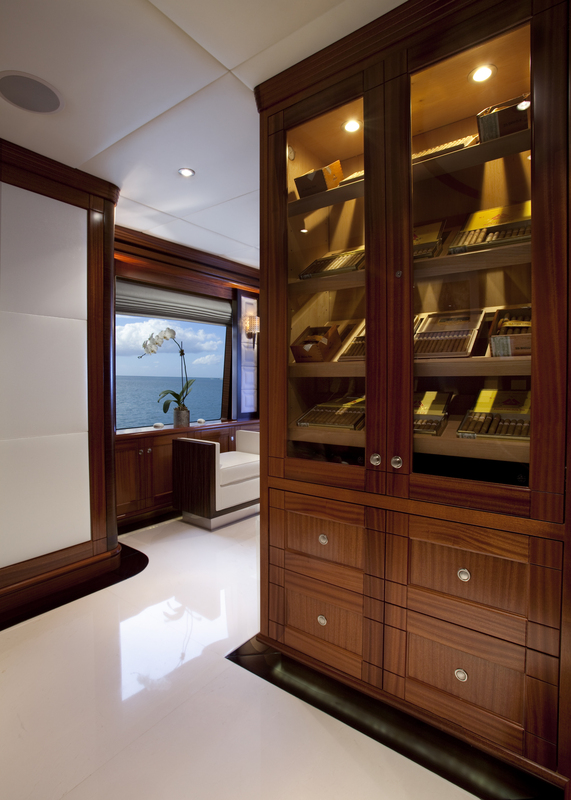 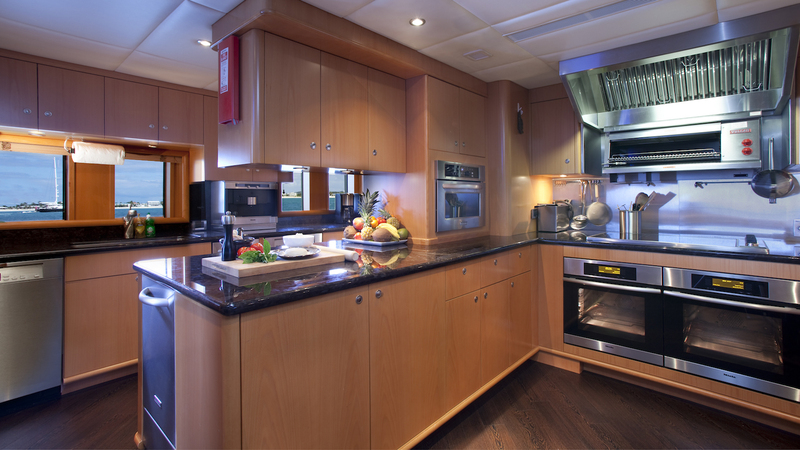 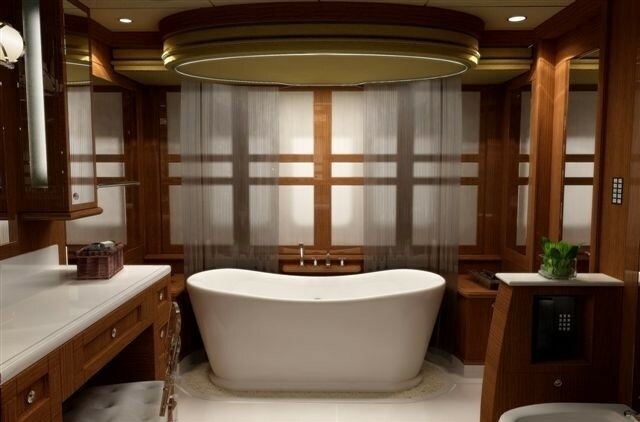 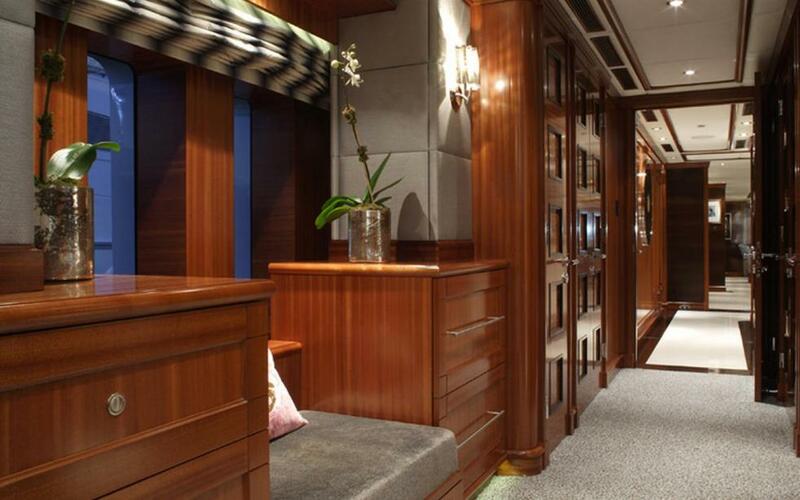 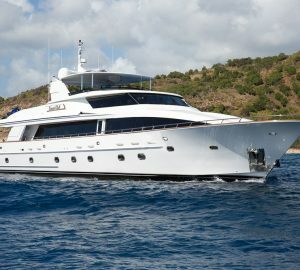 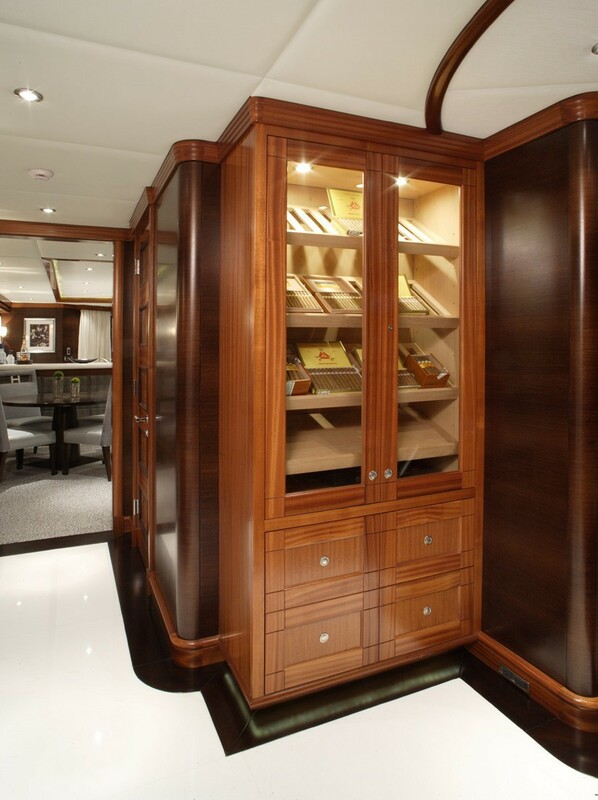 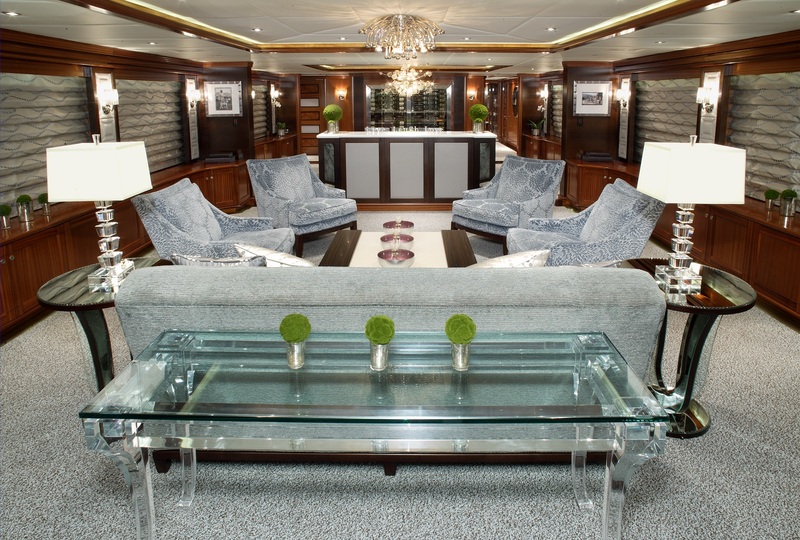 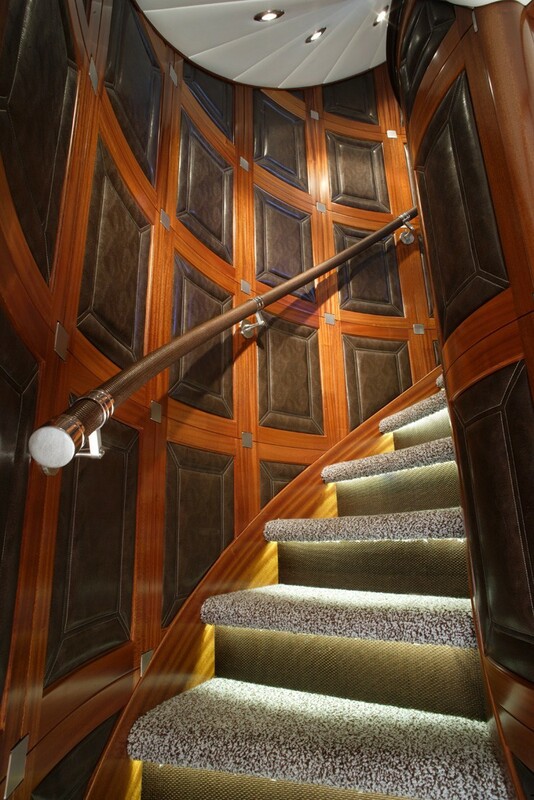 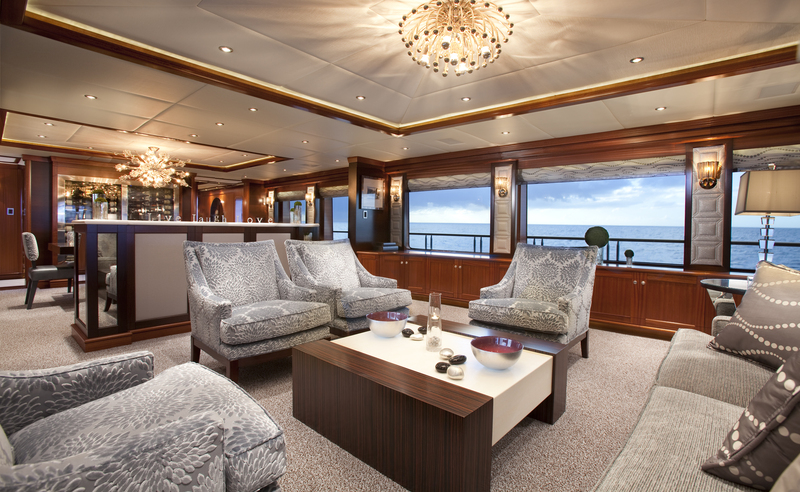 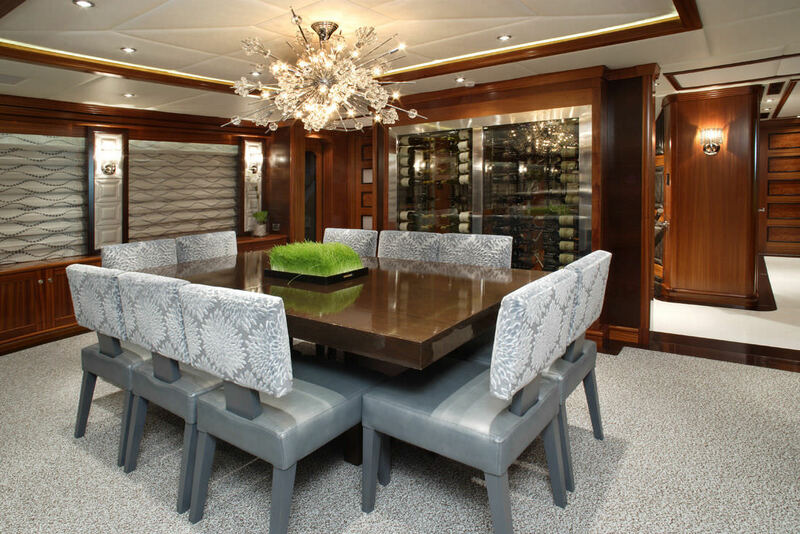 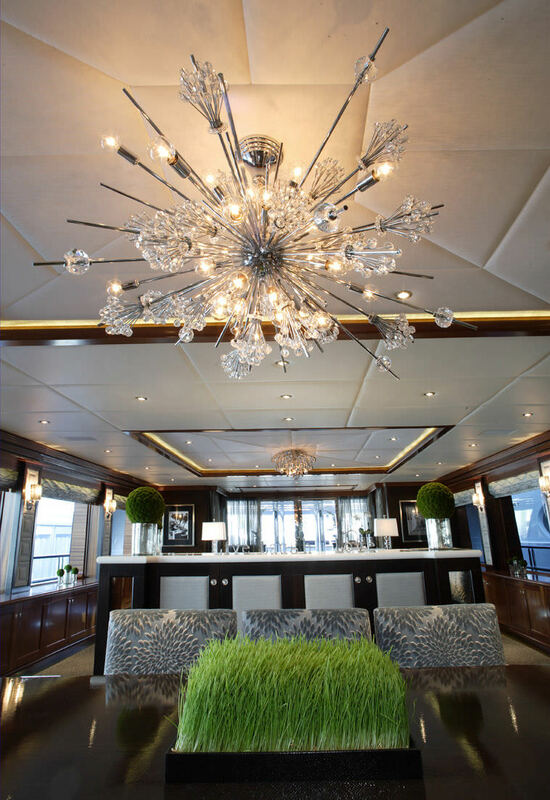 M/Y ROCKSTAR boasts a remarkable interior as designed Patrick Knowles to echo the glamour and elegance of old Hollywood. 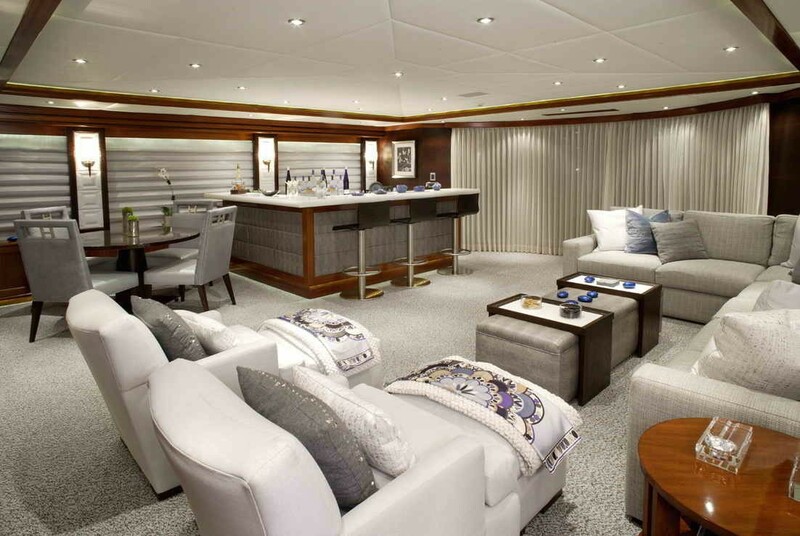 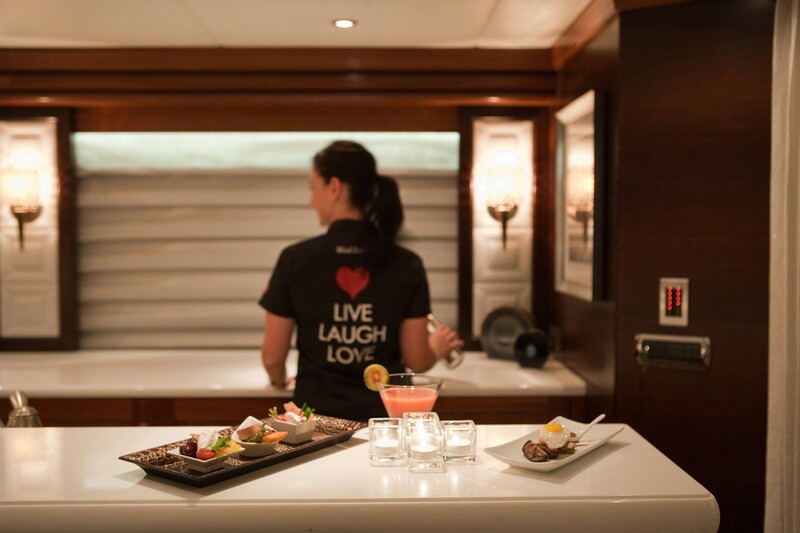 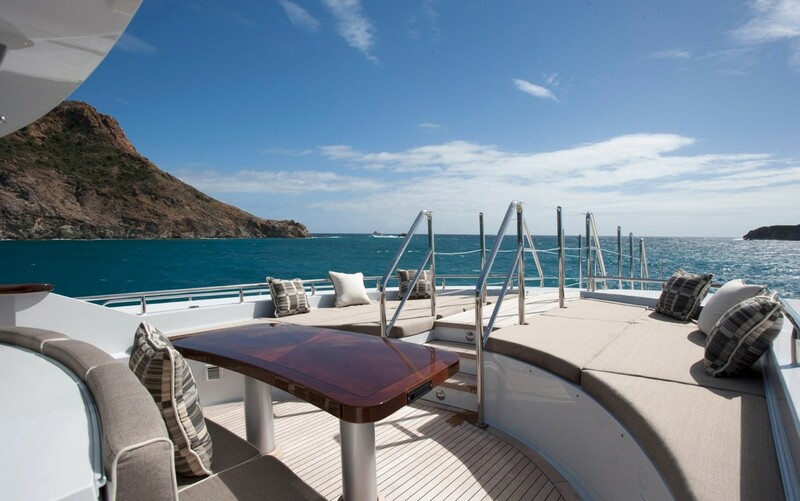 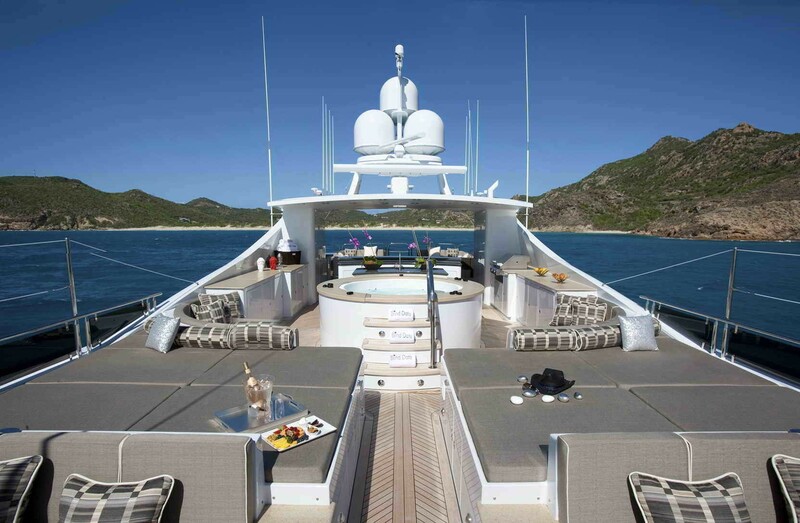 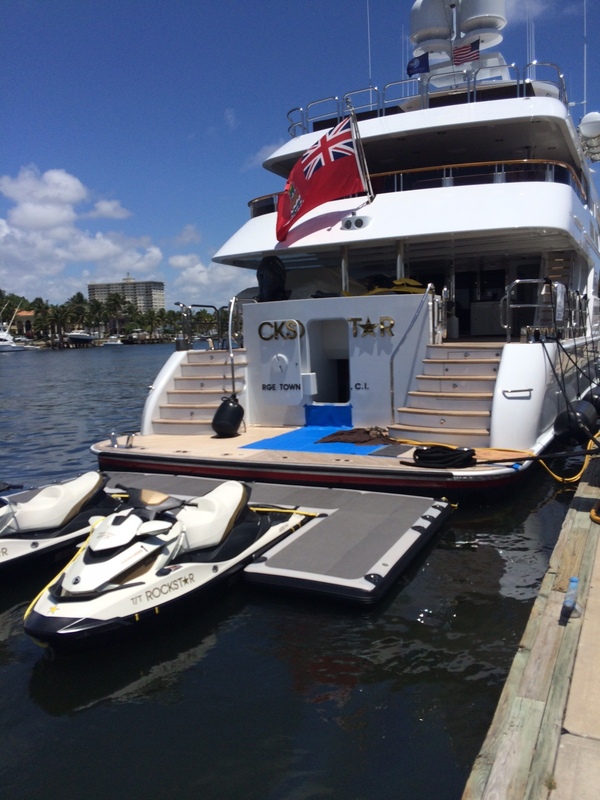 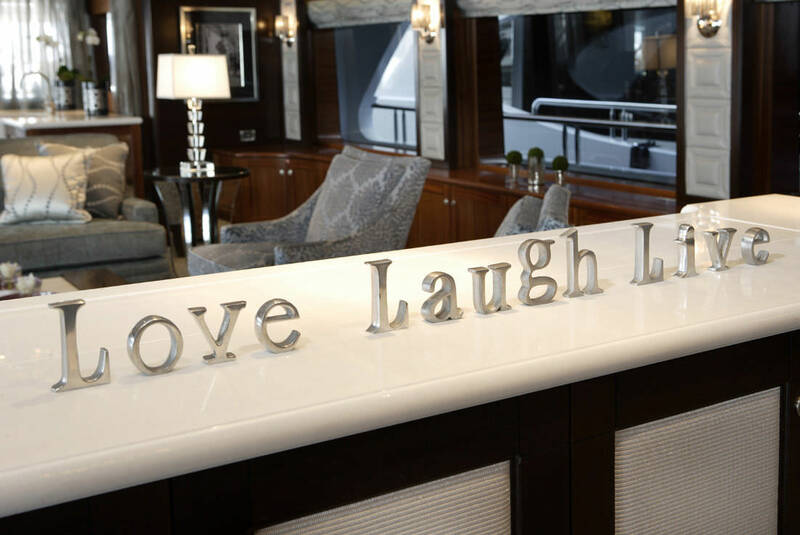 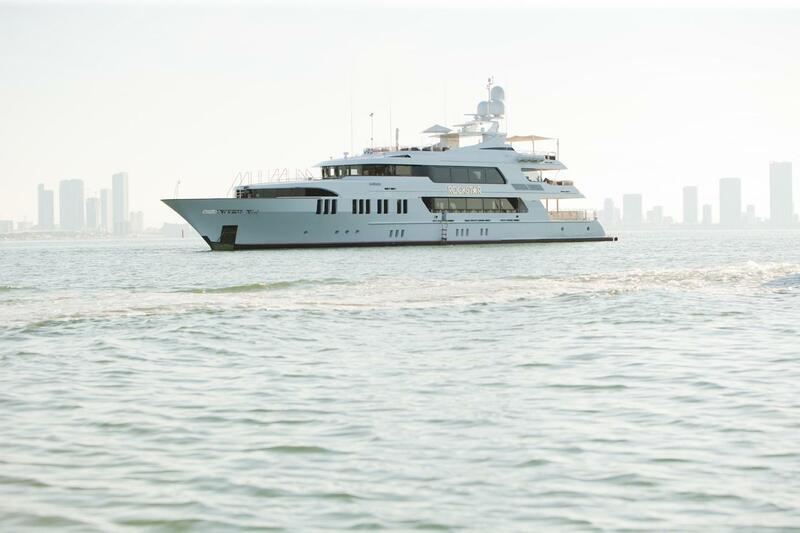 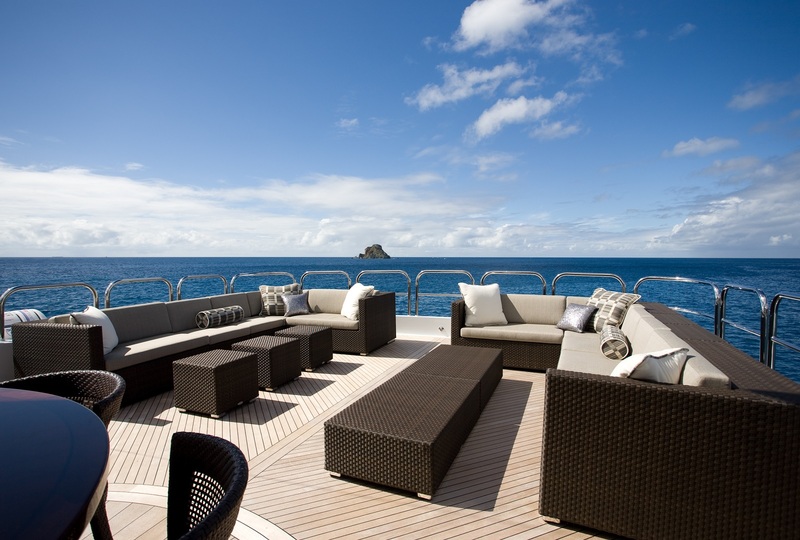 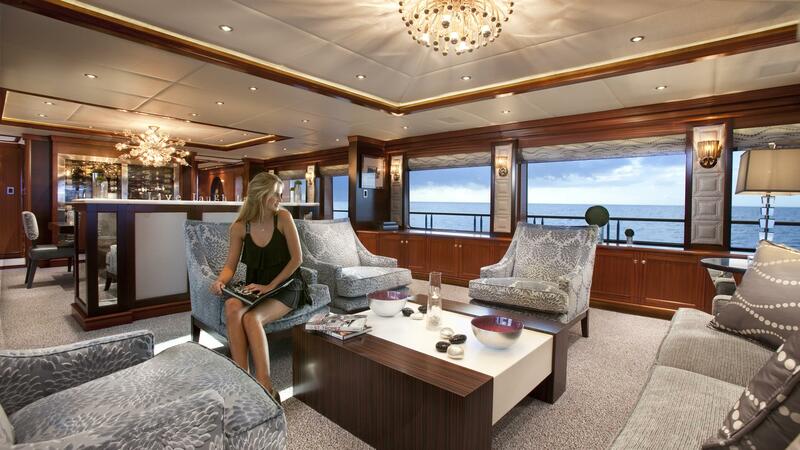 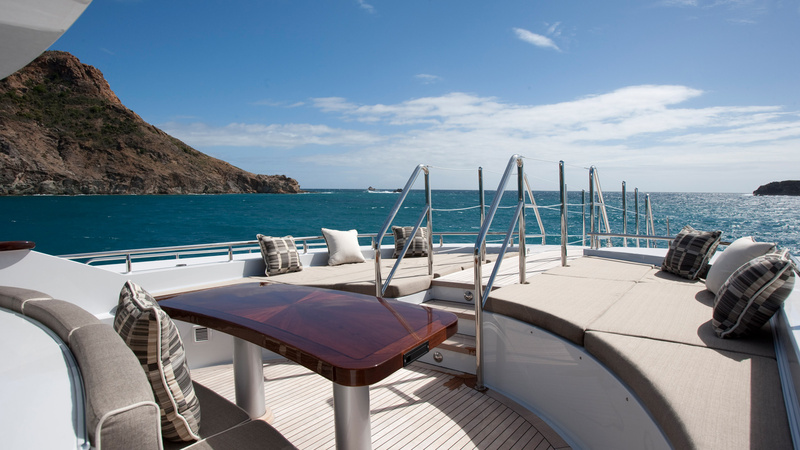 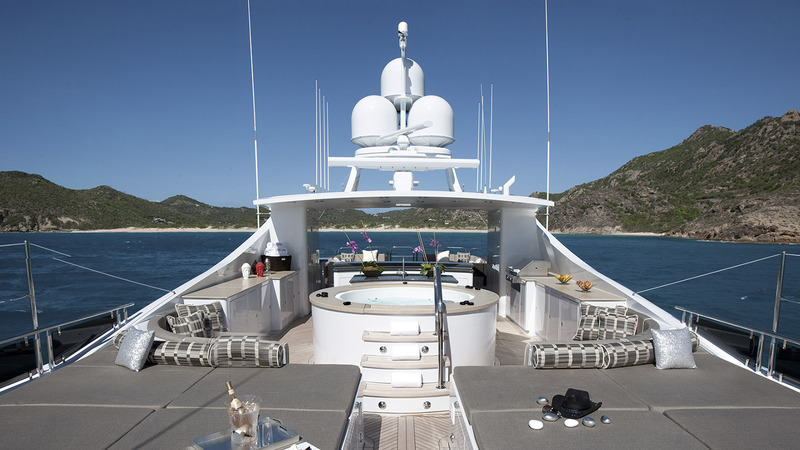 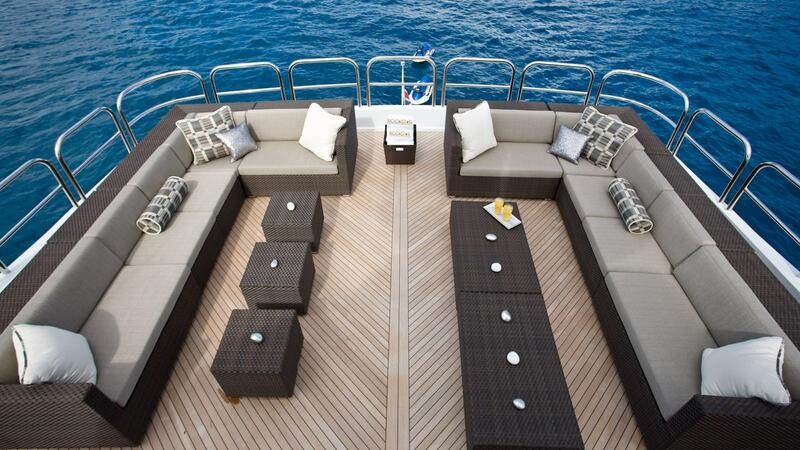 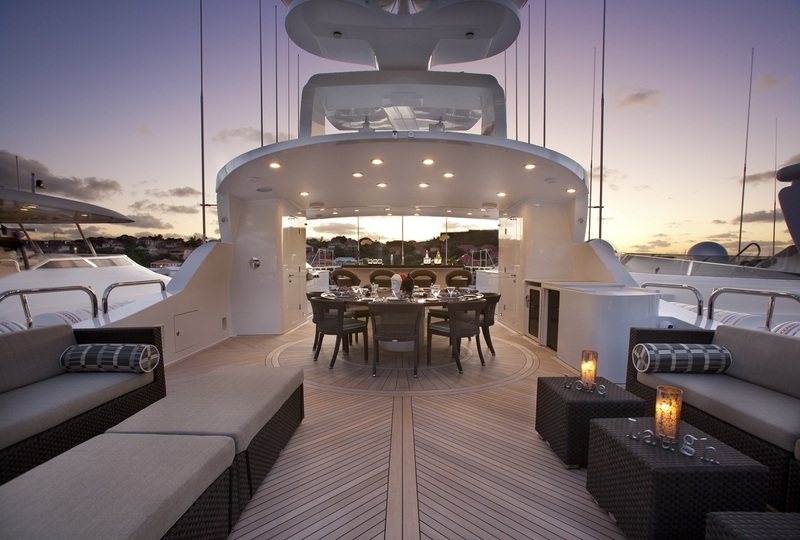 The social spaces on board the OCEAN CLUB yacht are modern and comfortable. 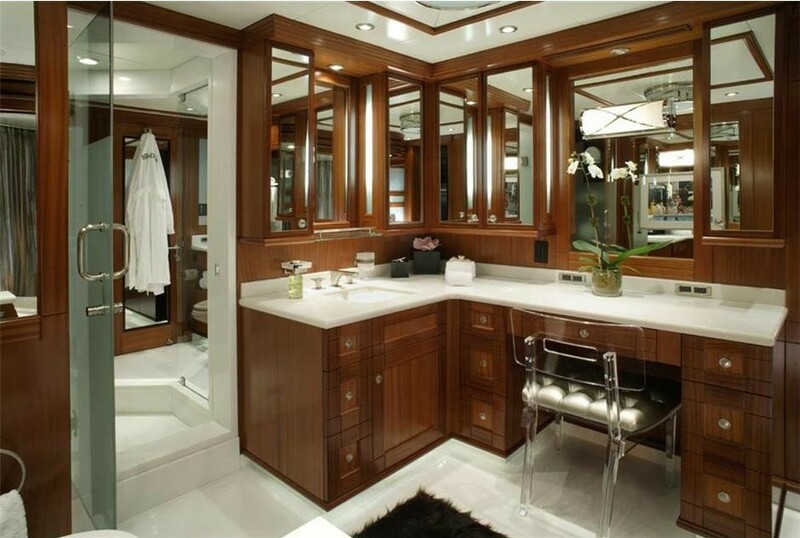 Her neutral grey and cream color schemes give way to splashes of color, including purples and touches of pink. 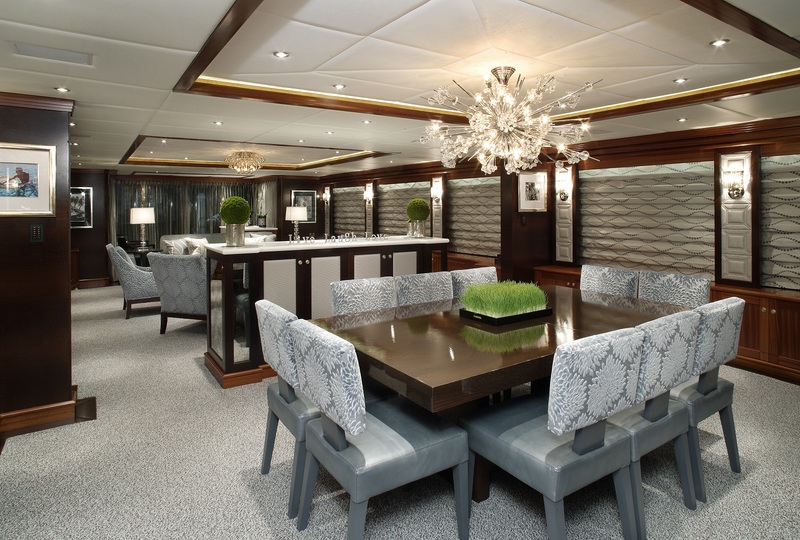 She displays elegant glass light fixtures in her saloon and her formal dining area as highlighted by stills photographs of the fifties and sixties film stars. 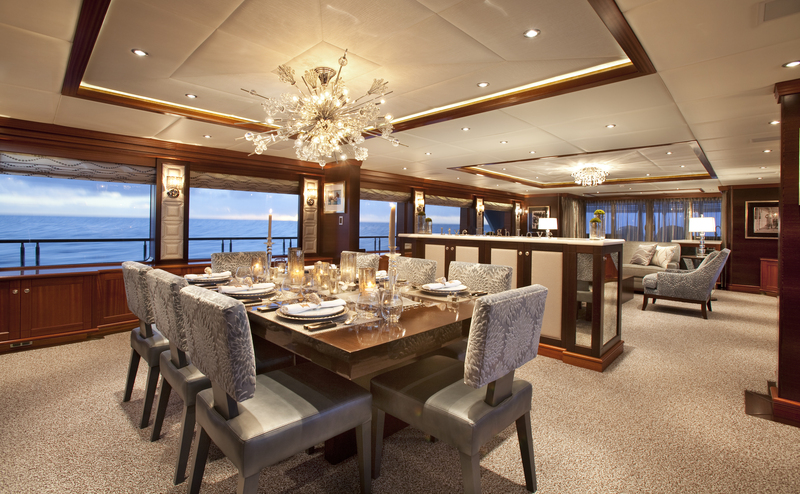 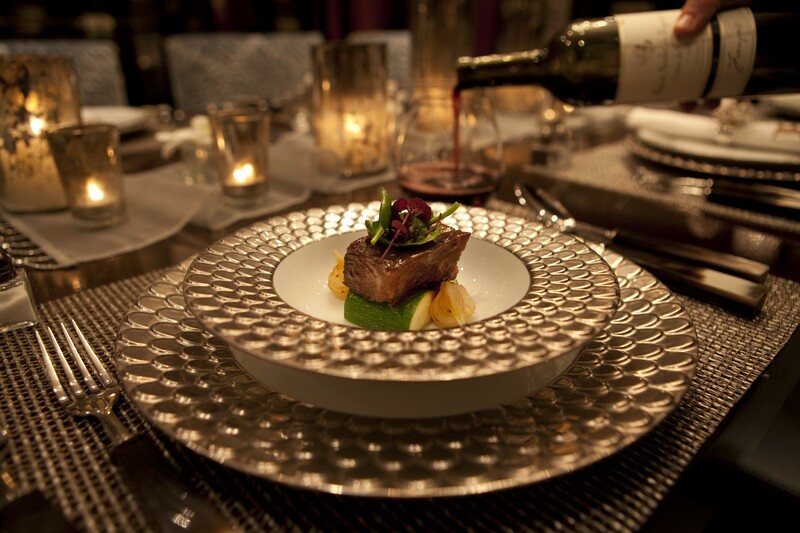 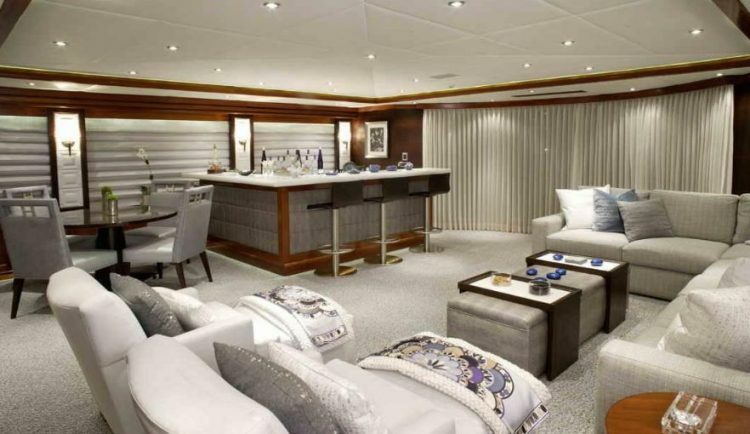 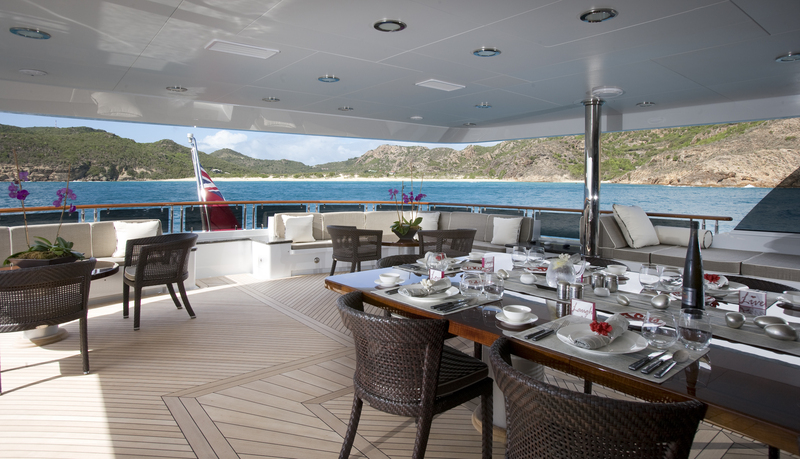 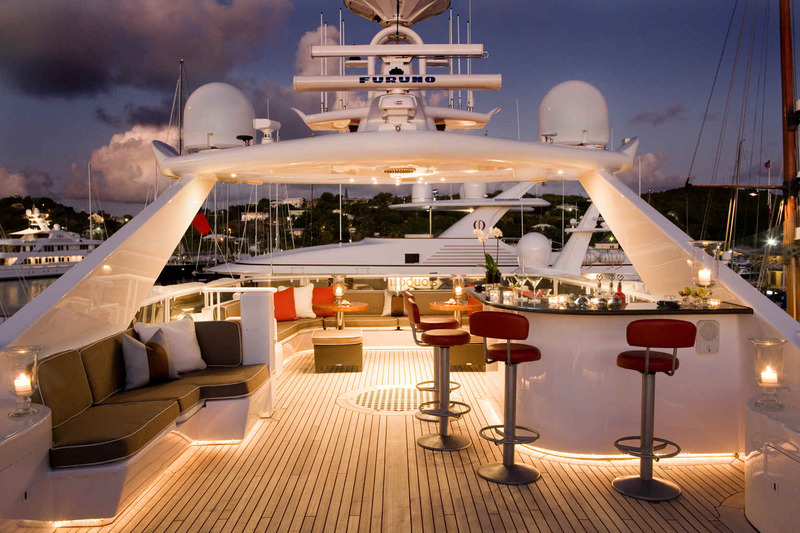 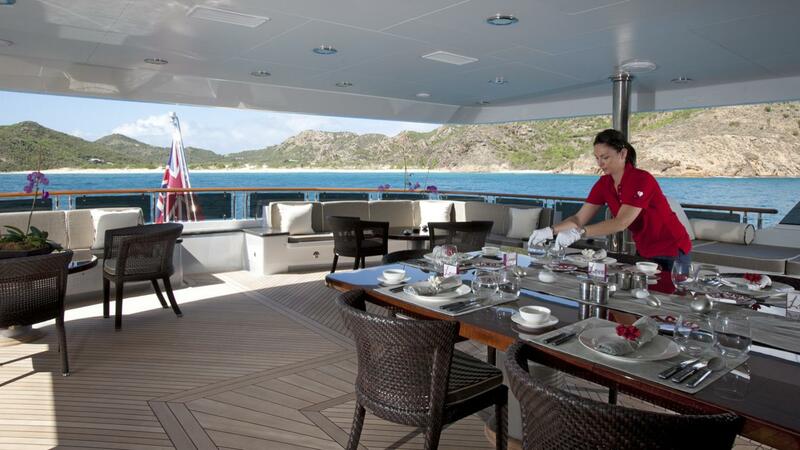 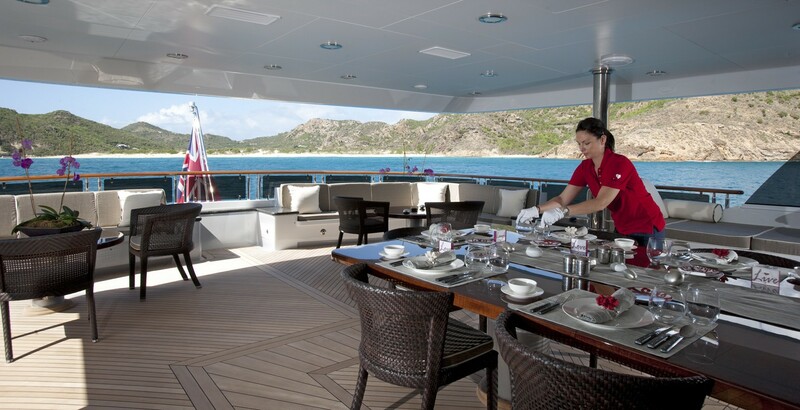 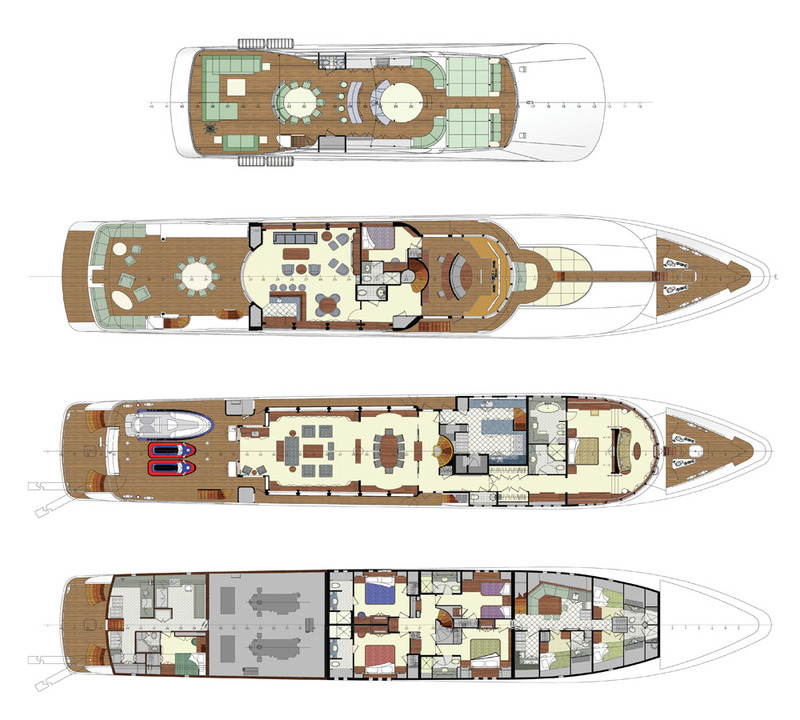 The main deck includes a full bar and formal dining for 10. 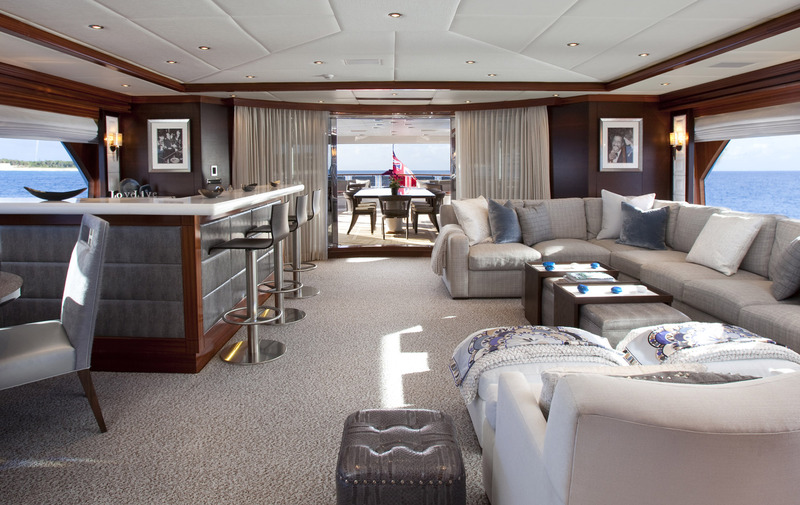 Moving up, her Skylounge also has an L-shaped bar area along with a game table, L-shaped sofa and ottomans. 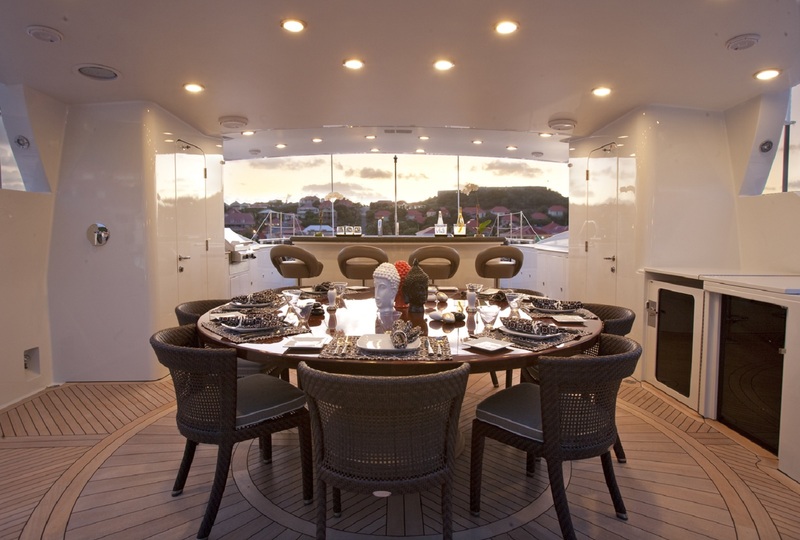 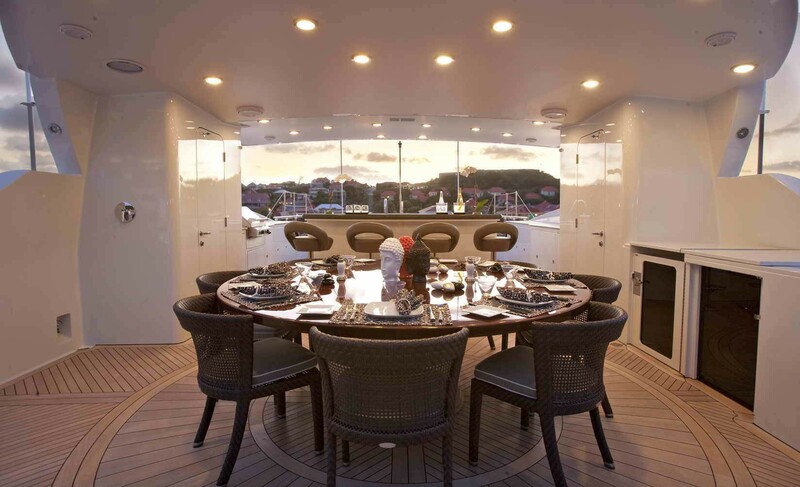 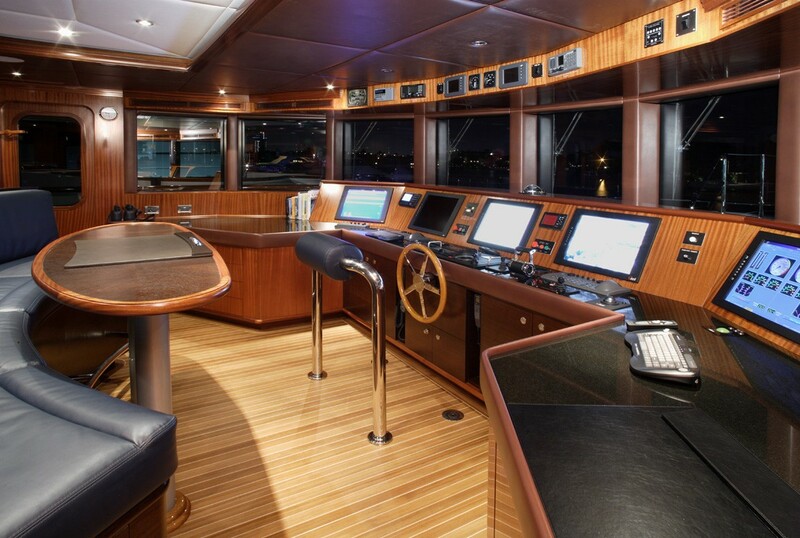 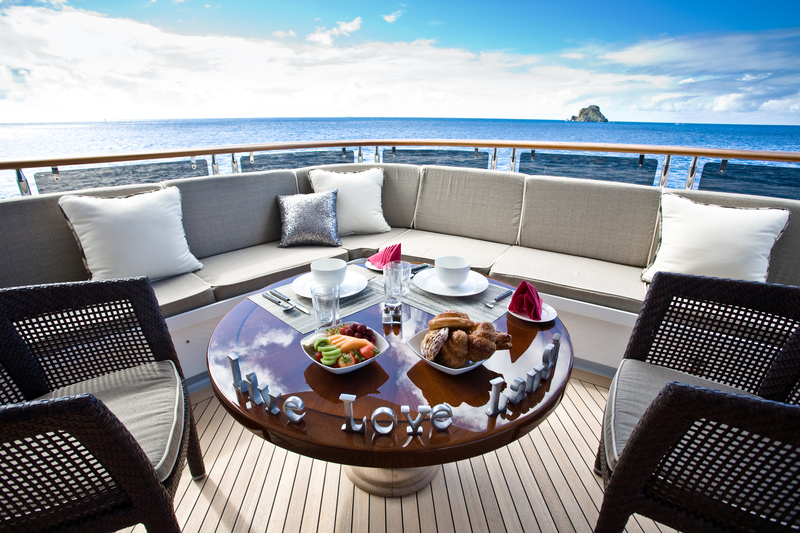 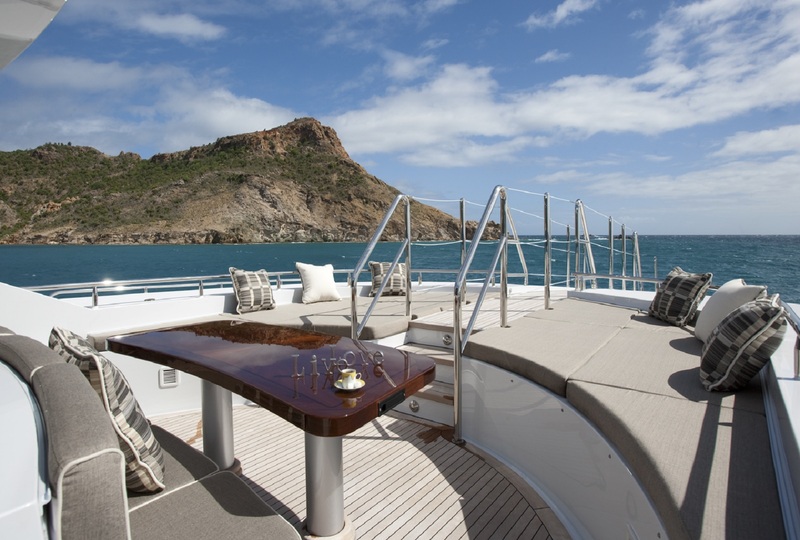 Her Upper aft deck features a rectangular table that seats 12 comfortably, and her Portuguese Bridge has a built-in seating area with occasional table and two large sun pads. 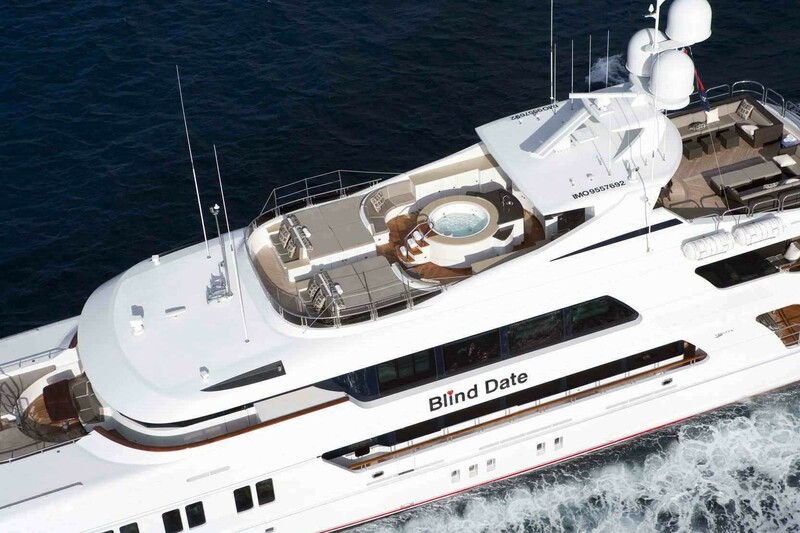 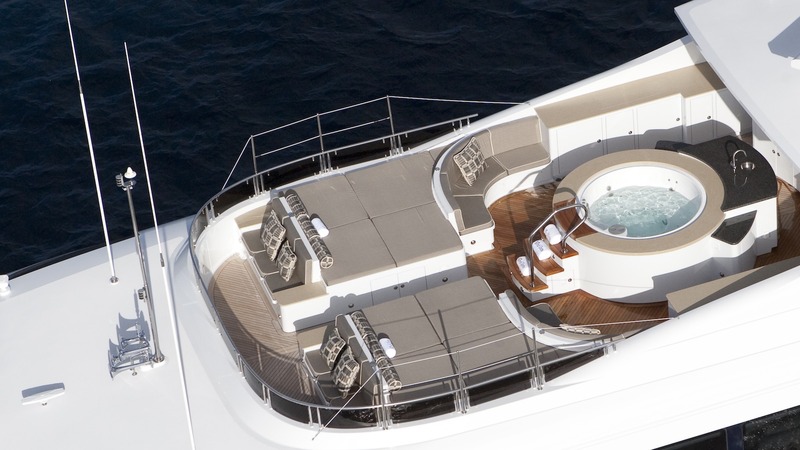 Speaking of sun, the sundeck offers observation seating with large sun pads a seven-person Spa Pool a full bar with four stools aft of Spa Pool. 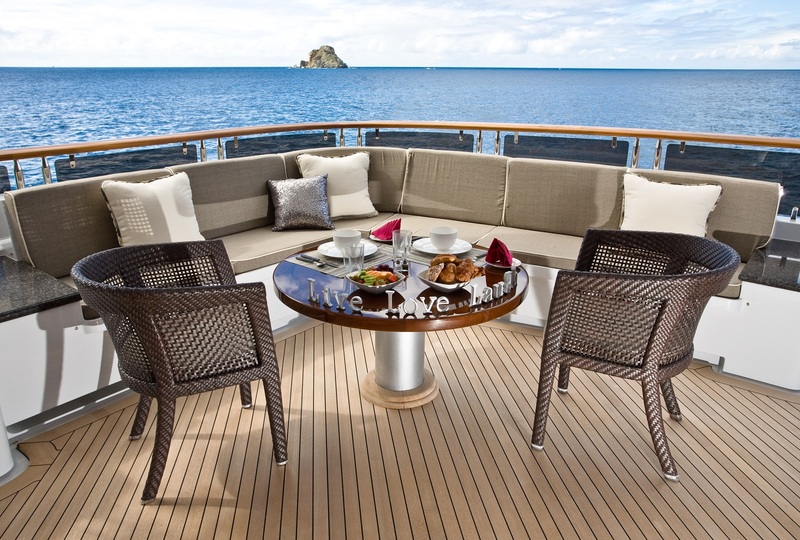 There is also a lounge area on OCEAN CLUB’s the sundeck with flexible seating and a large circular dining table which seats ten lucky guests. 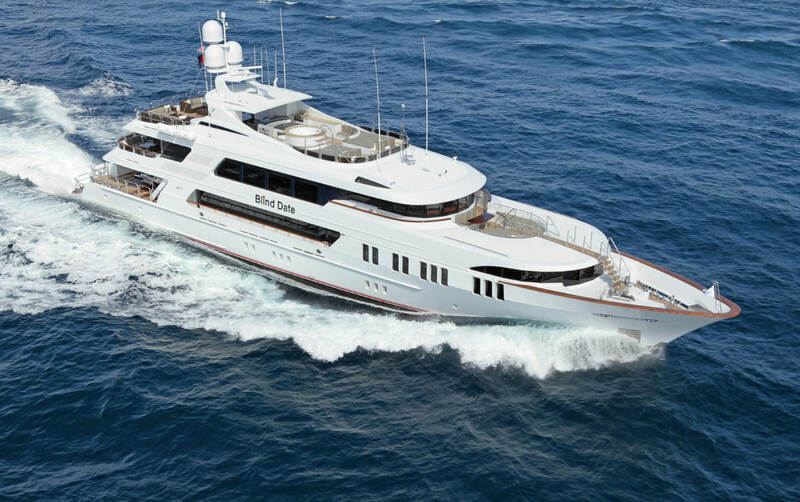 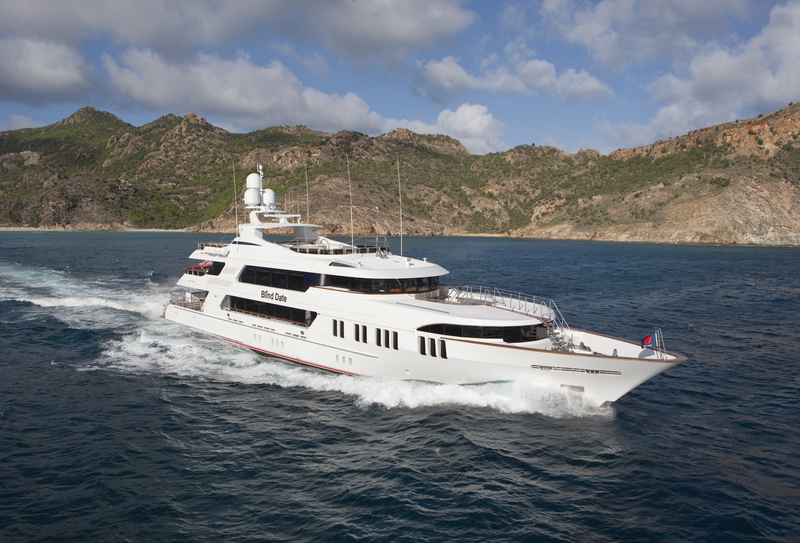 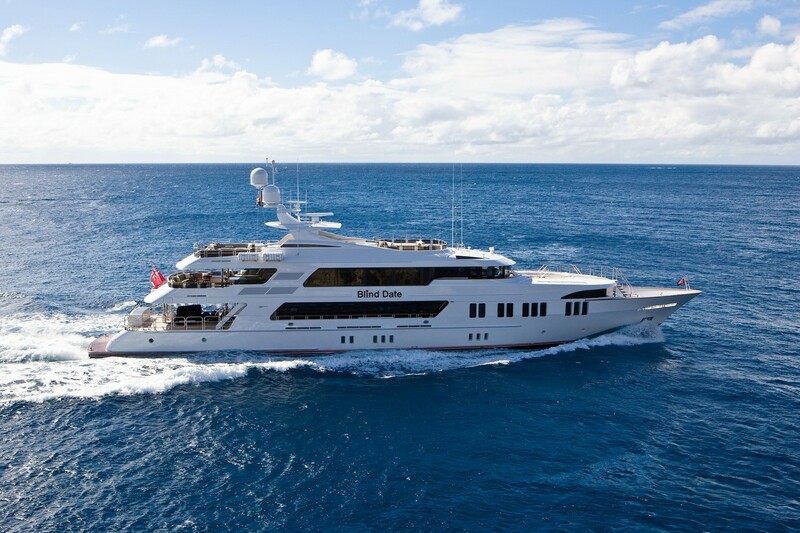 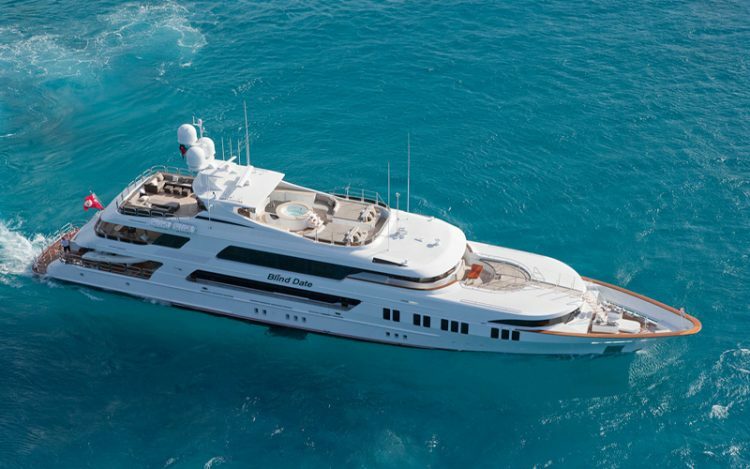 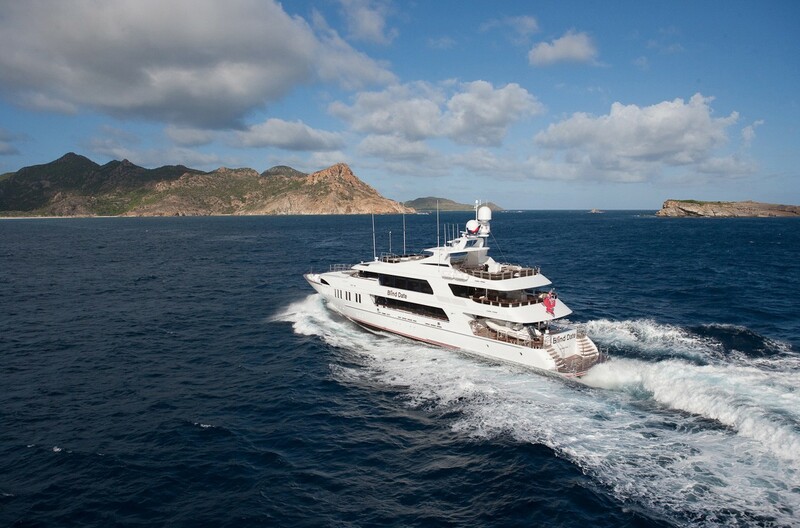 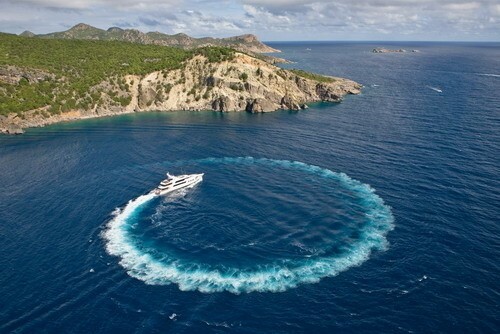 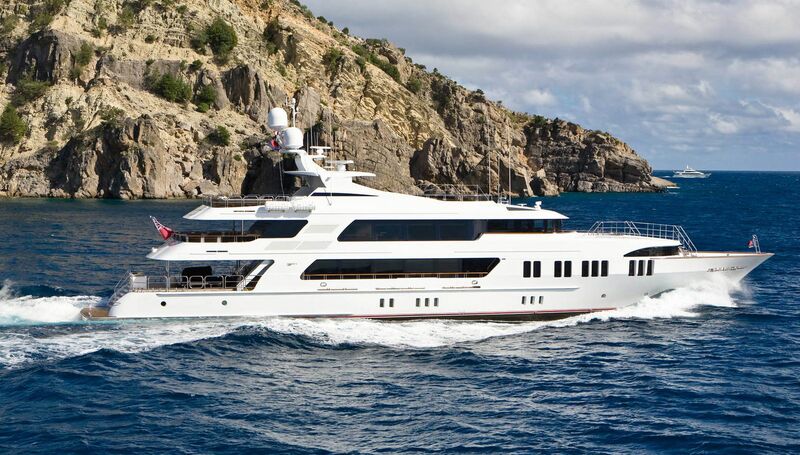 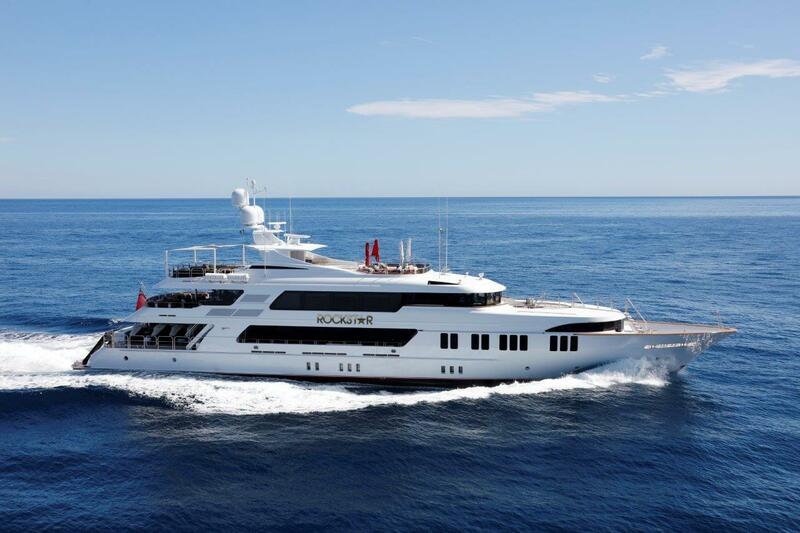 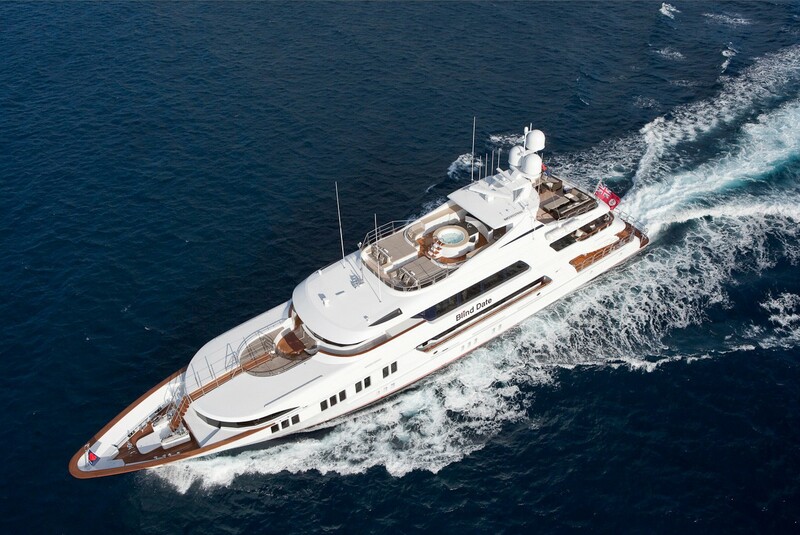 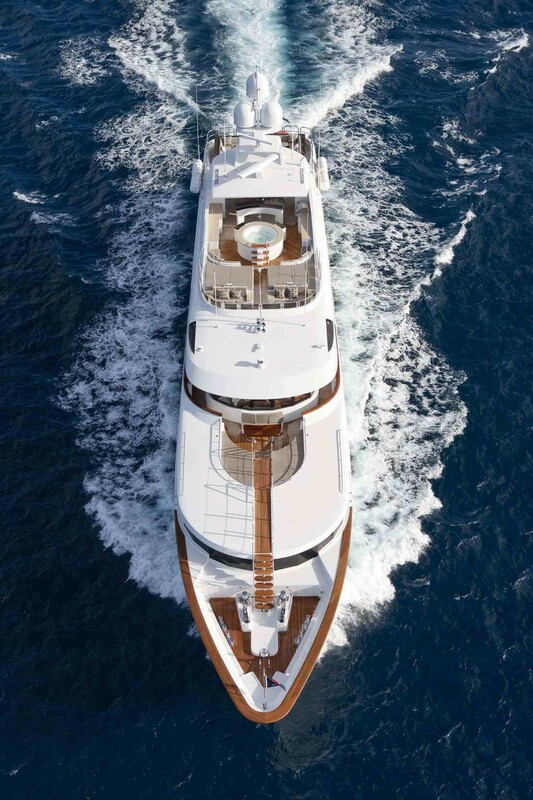 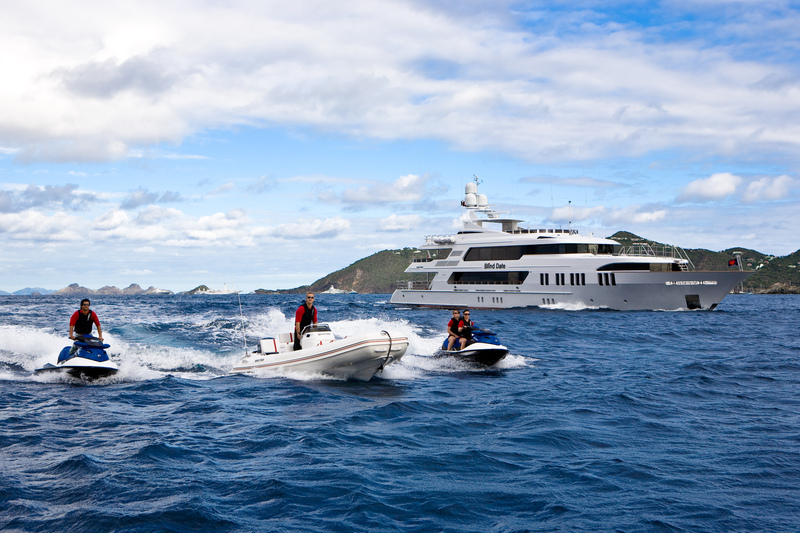 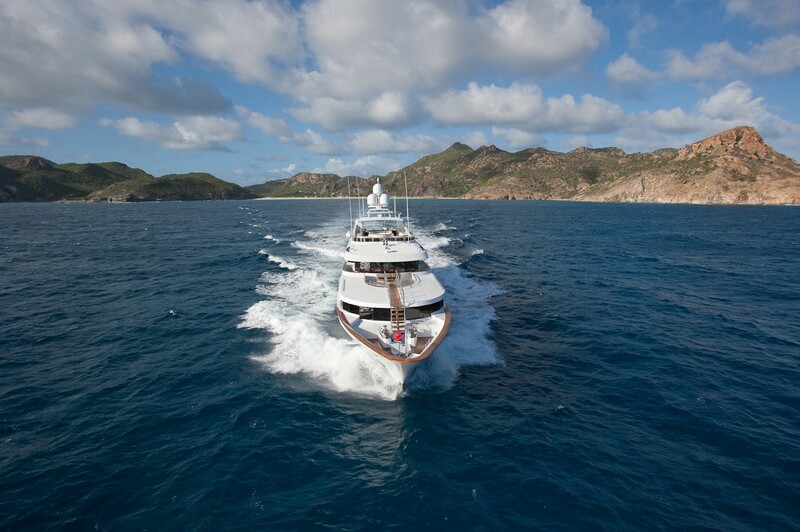 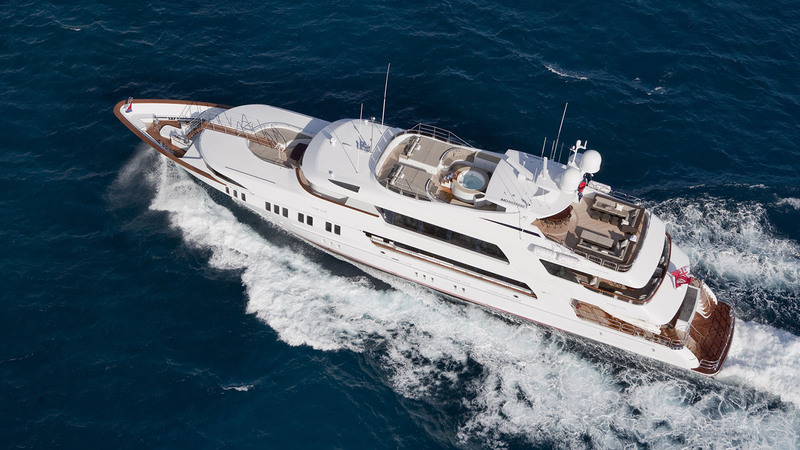 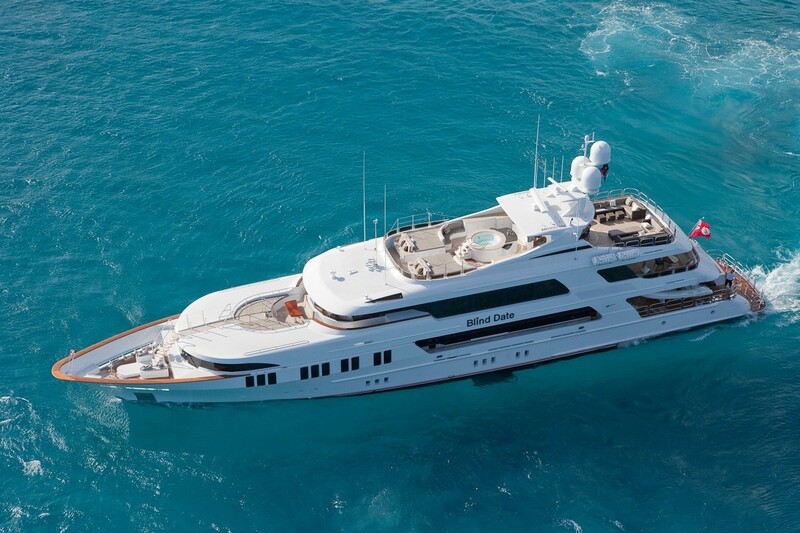 OCEAN CLUB won in the Best Semi-displacement motor yacht 40m+ category and Judges' Special Commendation awards at the 2010 World Superyacht Awards. 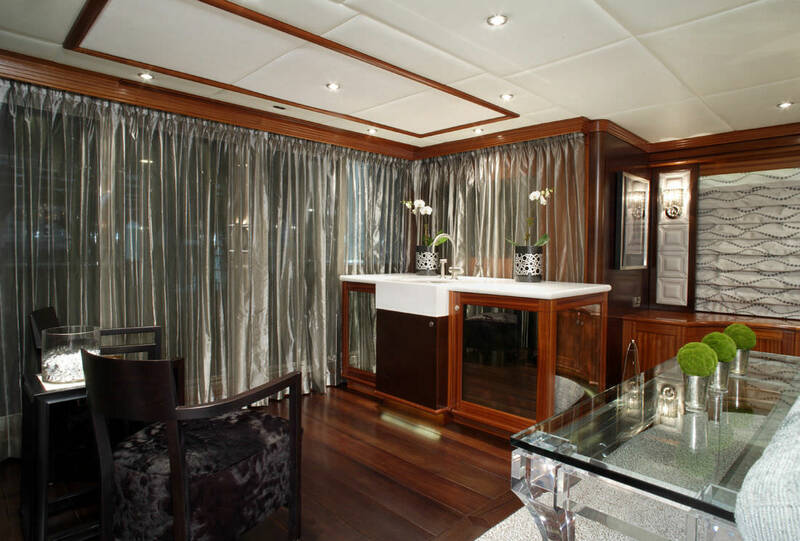 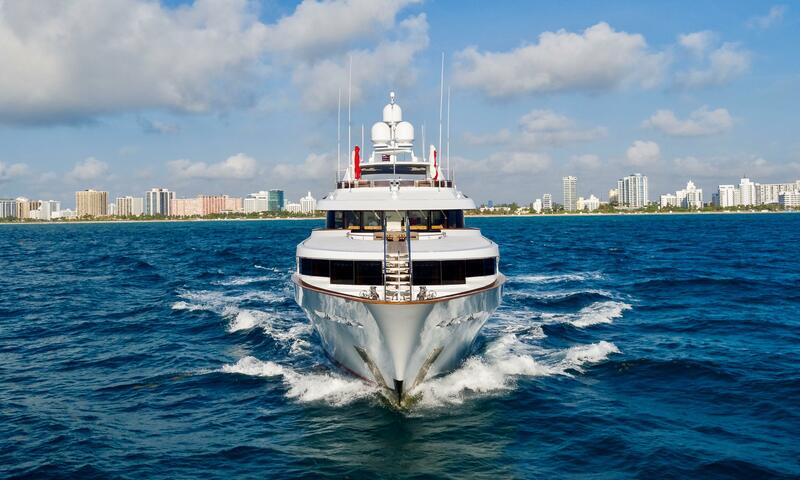 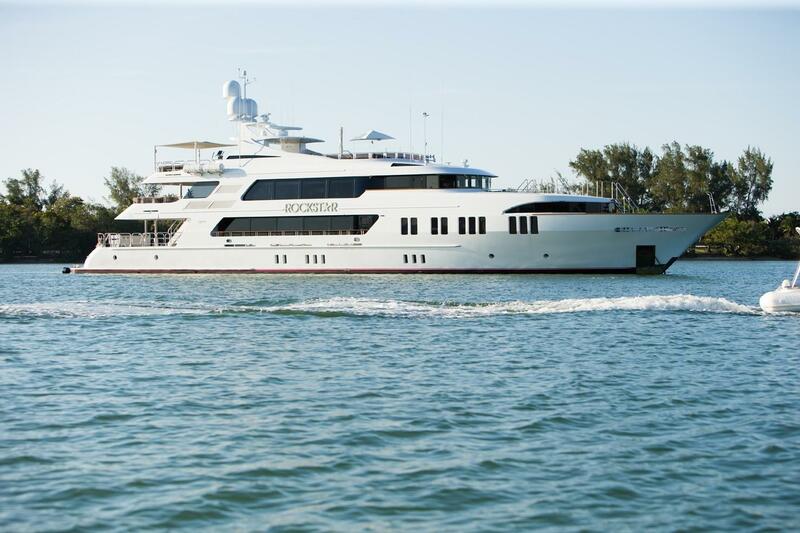 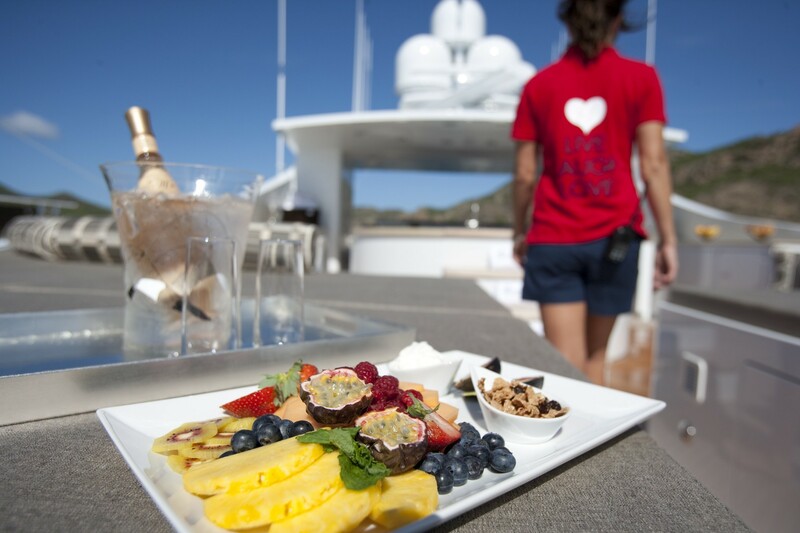 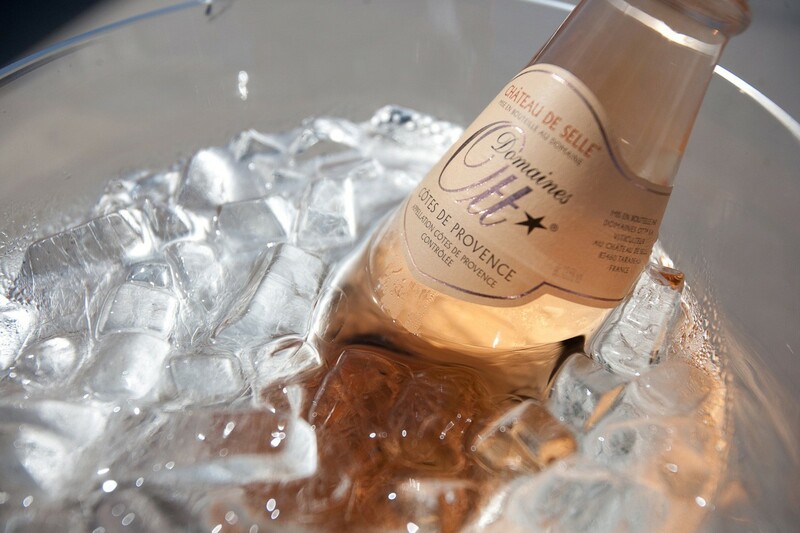 Yacht OCEAN CLUB has the following guest accommodation: All Staterooms have independent ensuites. 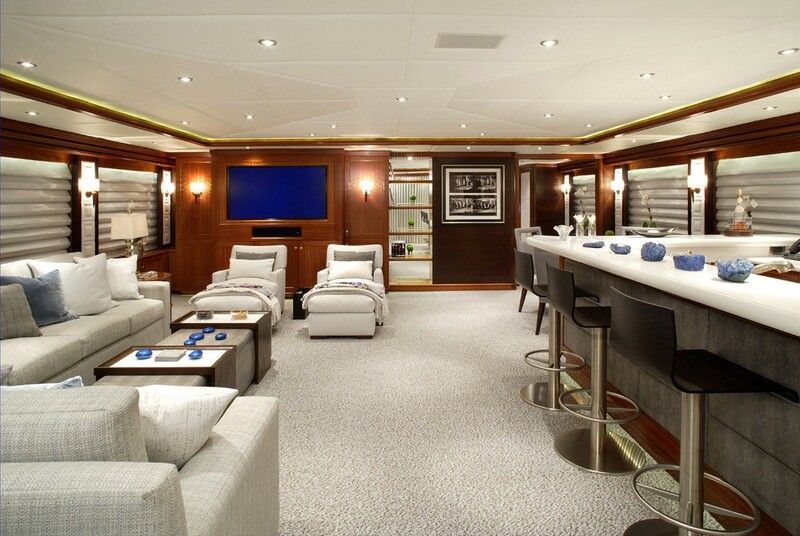 Each is equipped with TV, Kaleidescape Video and Audio with Creston controls. 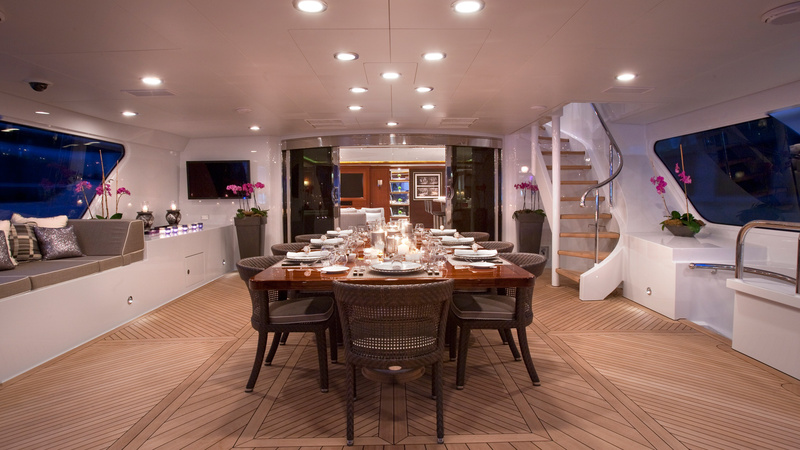 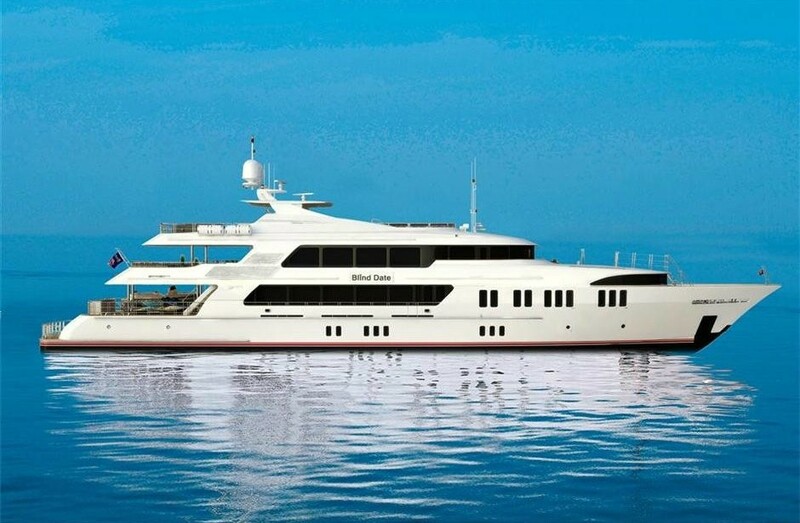 Motor yacht OCEAN CLUB can sleep a maximum 12 yacht charter guests in 5 staterooms, although 10 guests would have more space. 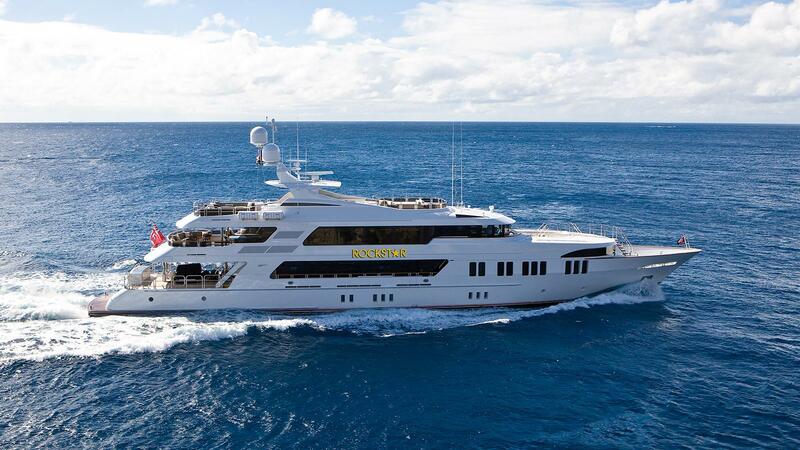 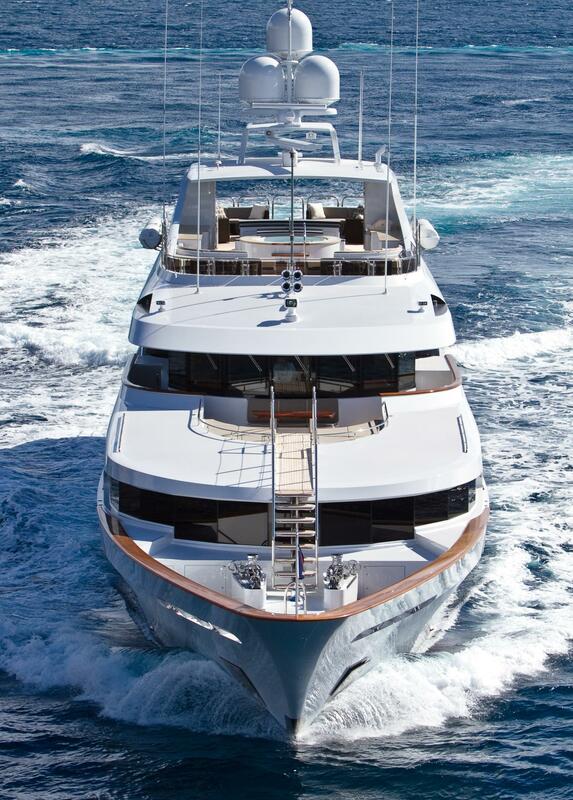 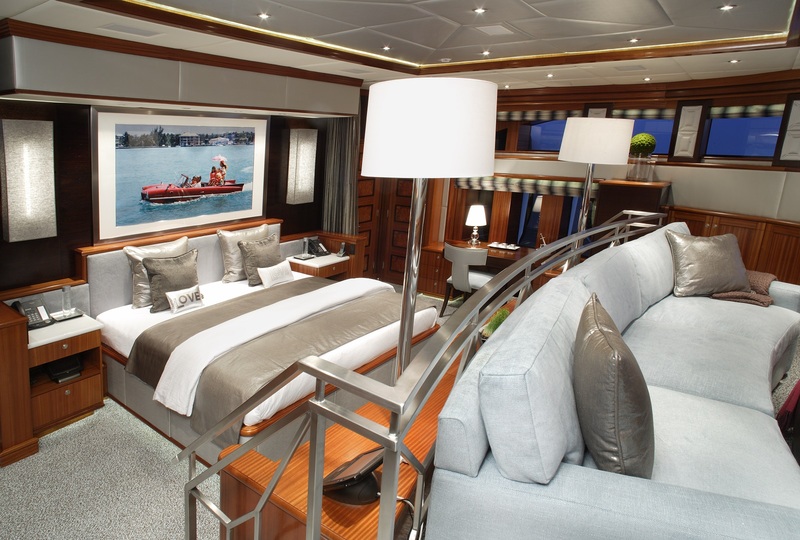 Her spacious main deck master suite features a unique split level floor and 280 degrees ocean vistas. 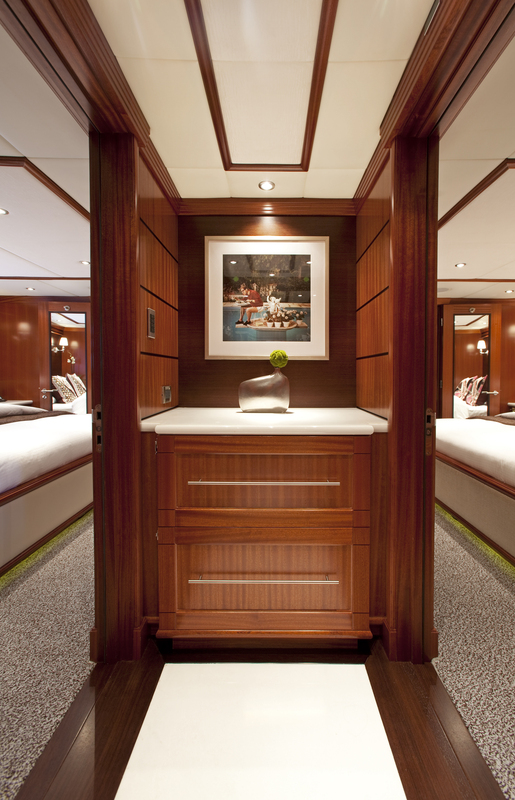 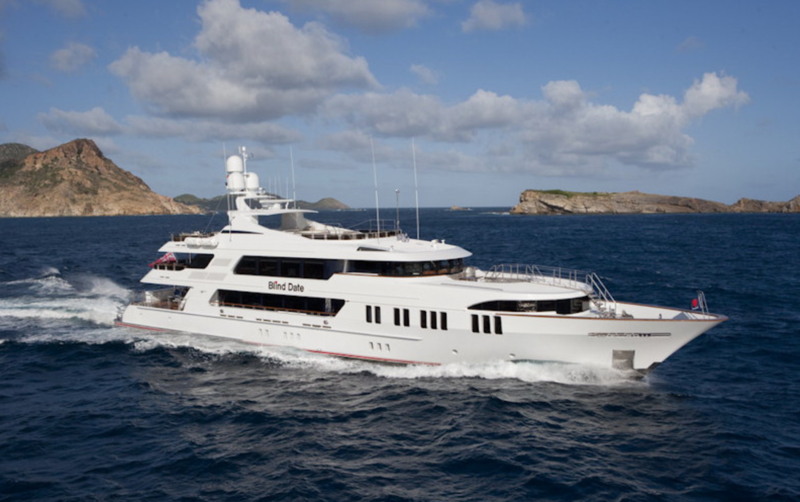 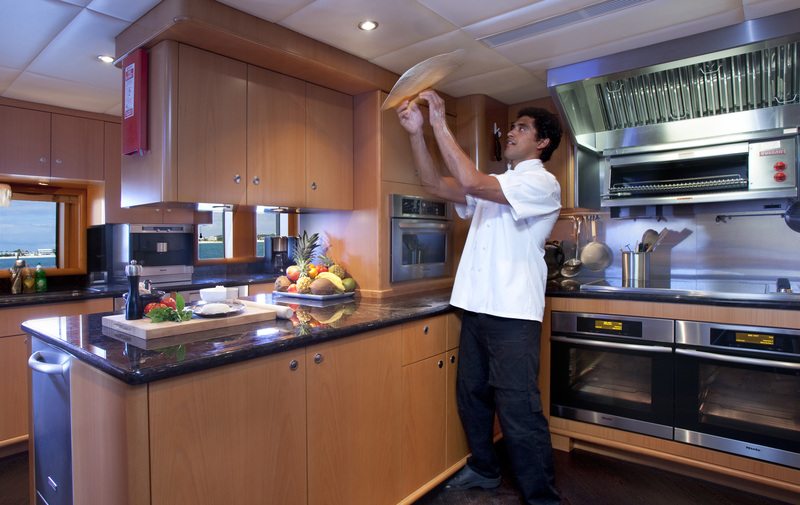 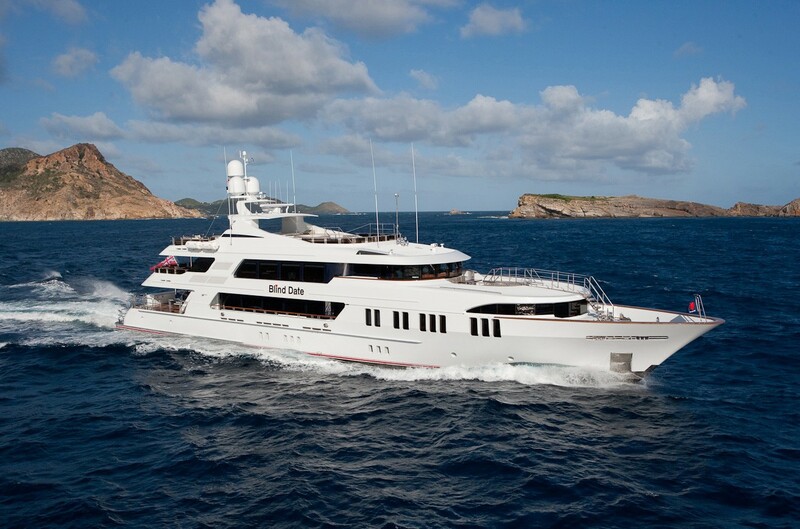 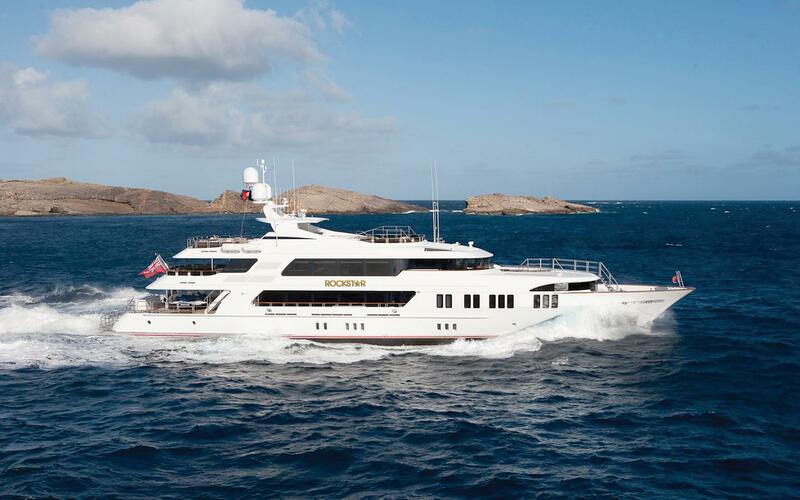 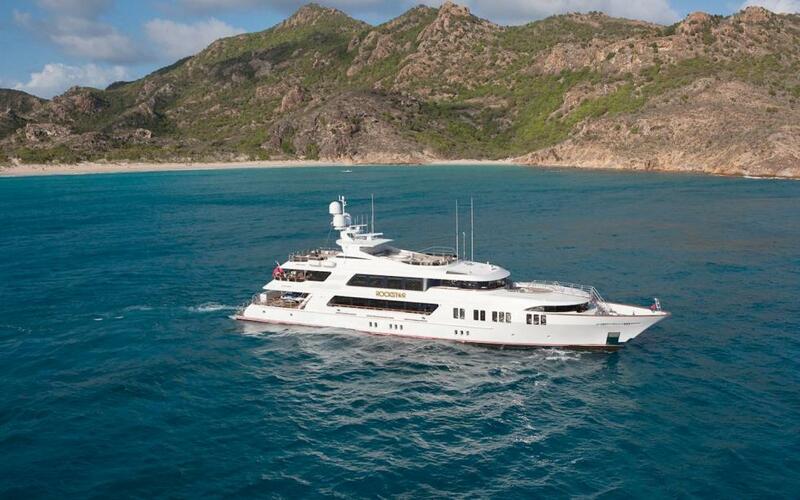 There are four additional staterooms which are ideal for many different types of charter groups. 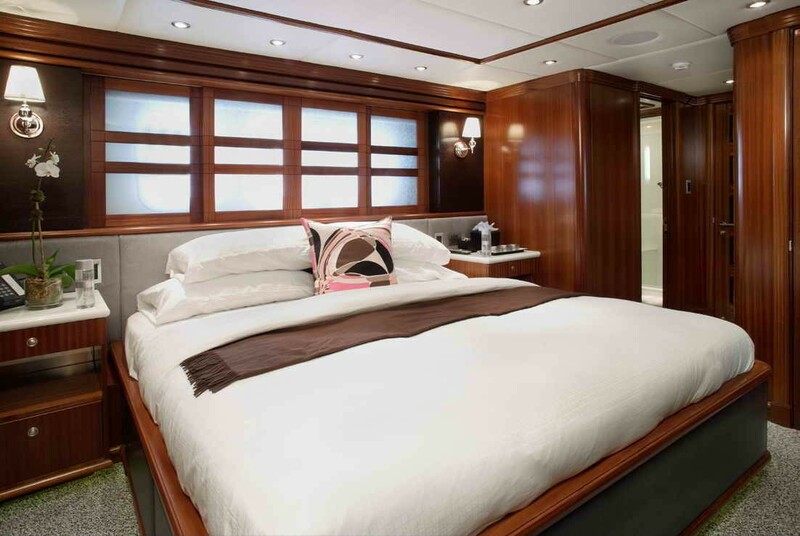 Three have king beds (one with a Pullman bunk) and the forth stateroom has a twin bed that can convert to a queen and also has one pullman bunk.